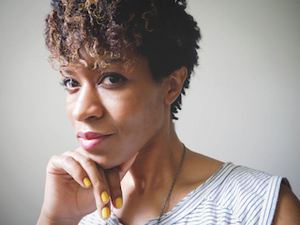 In this week’s PEN Ten, guest editor Hafizah Geter, Content Editor and Publicity Coordinator at Poets House, speaks with Camille Rankine. Hafizah writes: There are some writers you wait for. From the moment I read Camille Rankine’s chapbook Slow Dance with Trip Wire, I knew she would be one of them. I waited for her poems to come out in journals before reading and studying them voraciously. I waited for her full-length poetry collection Incorrect Merciful Impulses to come out from Copper Canyon before reading it from cover to cover. And as you read this, I’m tapping my foot expectantly waiting for her next book. Camille’s poems are a delicious treat, the discovery of a favorite song—they are the feeling in your chest you get after crossing a peak you weren’t sure you were ready to scale. How else to say it except Camille has a smart heart. A matter-of-factness she lays down at the table of the intimacies she explores and explodes in her poems. Camille is one of my favorite writers and one of my favorite people, and over the years I’ve learned that when she tells you something—whether in a conversation or in a poem—she’s usually right. When I finished college and I was looking for a job, I started to think a lot about what my life might look like, and the decisions I would need to make to shape it into the kind of life I wanted to live. That’s when I understood writing would have to be at the center of it. But I’m still learning what it means to me to be a writer, and what it says about who I am. Somewhere warm and quiet, where I can see the sky. Listening. I love radio, dialogue, snatches of conversation. I like to hear people tell their stories. I like to hear stories from worlds that aren’t my own. Sometimes, when I’m listening, a phrase floats into the air and everything else gets quiet, and it’s like the words are glowing. That makes me want to write. To say something worth saying, and say it well. I still find public intellectualism fashionable! I think a lot of people do. I don’t think writers have a collective purpose, though. It’s not like we’ve all met and decided what we’re about. That’s far too monolithic a vision for me. I want each writer to put energy into figuring out their own purpose, rather than being handed an agenda. Recognizing years of cultural theft and appropriation, to whom would you like to give back the crown? Black musicians. And while we’re at it, I’d ask non-native people (myself included) to stop calling everything their spirit animal. How has the very public mainstreaming of bigotry and more visible and documented police violence resonated in your personal life and writing? Oh, I don’t know, every day is a new adventure. Lately the volume of hate in America has been turned up so high, it’s hard to think. It’s also harder to ignore. Because I’ve known the insidiousness of this hate for so long, it’s almost a relief to see more and more people recognizing bigotry for what it is. At the same time, it’s terrifying to see that bigotry and violence so openly legitimized by our newly-elected President. I feel afraid of where we’re headed. I don’t know what that will mean for my writing. Some days, it feels impossible. Others, imperative. What book would you send to a government leader, domestic or foreign, who censors (or inhibits) marginalized and/or dissenting voices? Intention and power. Observation is curiosity and discovery. Surveillance is fear and subjugation. Camille Rankine is the daughter of Jamaican immigrants. Her first book of poetry, Incorrect Merciful Impulses, was published in January 2016 by Copper Canyon Press. She is the author of the chapbook Slow Dance with Trip Wire, selected by Cornelius Eady for the Poetry Society of America’s 2010 New York Chapbook Fellowship, and a recipient of a 2010 “Discovery”/Boston Review Poetry Prize. Her poetry has appeared in Atlas Review, American Poet, The Baffler, Boston Review, Denver Quarterly, Gulf Coast, Octopus Magazine, Paper Darts, Phantom Books, A Public Space, Tin House, and elsewhere. She serves as chair for the Executive Committee of VIDA: Women in Literary Arts, president of the board of The Poetry Project, and lives in New York City. Hafizah Geter is Nigerian immigrant. A Cave Canem Fellow, her poems have appeared or are forthcoming in Narrative Magazine, Gulf Coast, Boston Review, Los Angeles Review of Books, and The New Yorker, among others. She is on the board of VIDA: Women in the Literary Arts, on the Poetry Committee & Bookends Committee for the Brooklyn Book Festival, and is a poetry editor at Phantom Books where she also co-curates its reading series EMPIRE with Ricardo Maldonado. She is currently the Content Editor & Publicity Coordinator for Poets House. Hafizah will be interviewing feminists and champions of intersectional equity.